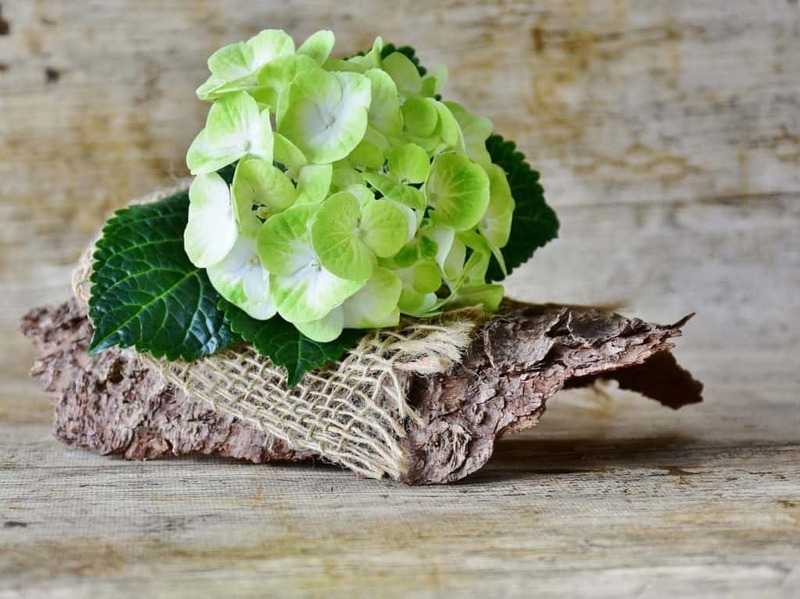 Green flowers aren’t just for St. Patrick’s Day! 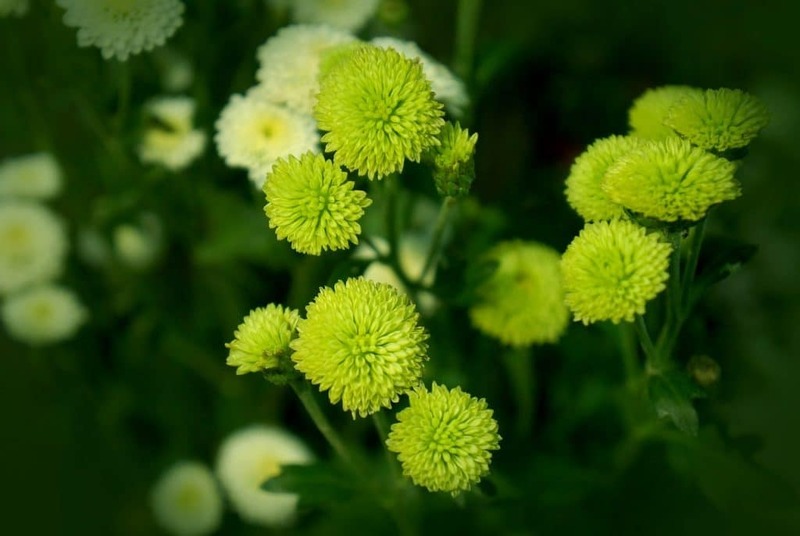 You can add a punch of unique color to your bouquet or garden with green flowers. We’ve also included details on some green plants, as well. These plants attract insects with their nectar. They are carnivores so they eat the insects which they attract. They grow to be about 3 feet tall and can be grown in containers as well as gardens for cut flowers. These are often used as accent plants or in woodland gardens. They can grow to 3 feet when living in damp, acidic soil. They attract birds when planted outdoors but you can also can also plant them in containers for indoor enjoyment. 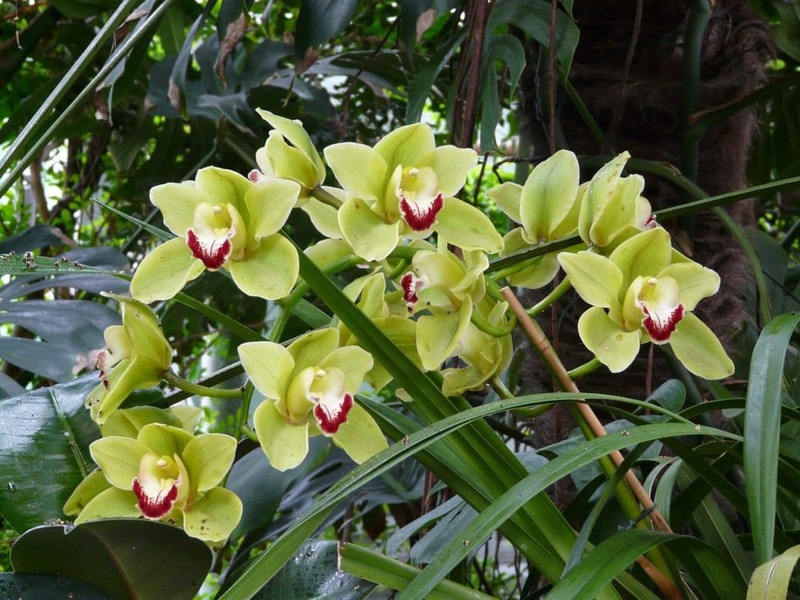 These waxy 5 petaled orchids were typically used in old fashioned corsages. They are often grown inside as they make wonderful house plants. You can enjoy their blooms once a year, during winter or spring. 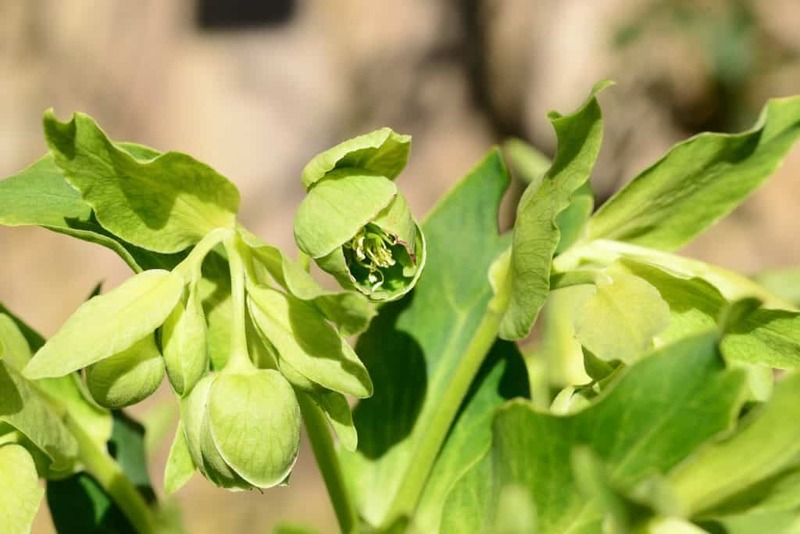 Bells of Ireland are often used in bouquets due to their vertical element so they make a nice addition to a cutting garden. They have a slight fragrance and can grow to 3 feet. They do not do well in humid weather so they bloom in late summer. These green perennials bloom in late winter. 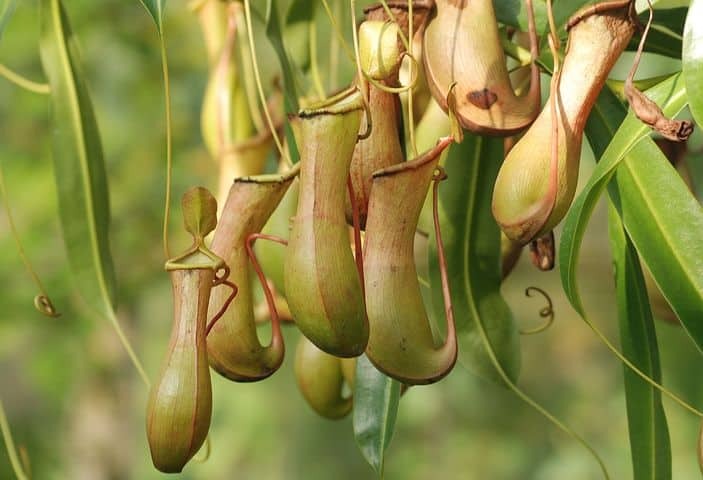 While pretty to look at, they are poisonous if eaten. The simple act of handling them may cause irritation in those with sensitive skin. Clematis are vines with blooms that start as white but turn to green as they mature. They grow best on fences, arbors and porch rails. 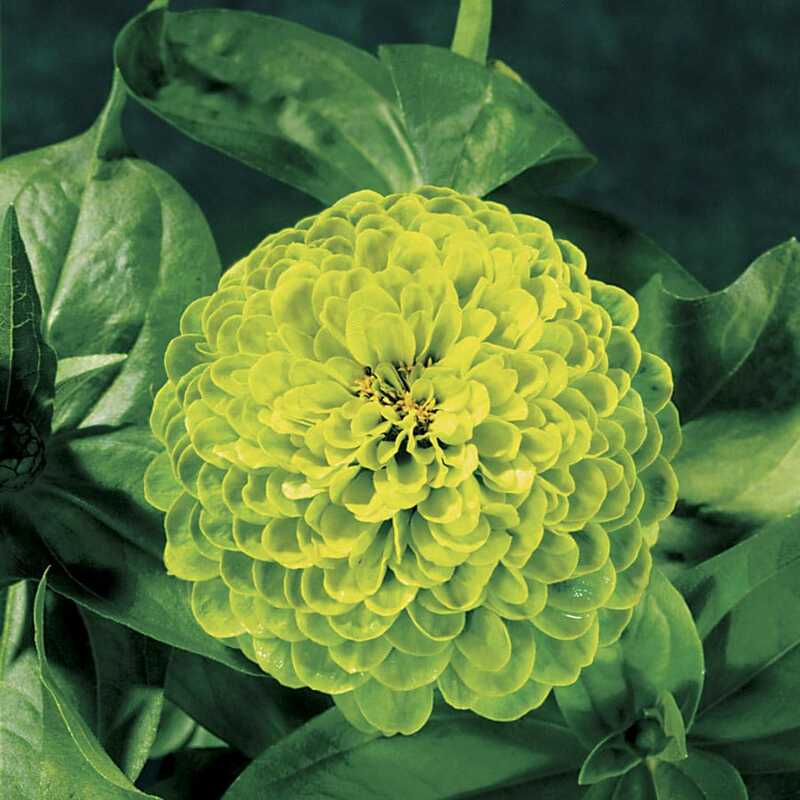 The green zinnia is a common annual that is easy to grow and are low maintenance. Don’t crowd these flowers when you plant them, because they will suffer from mildew. 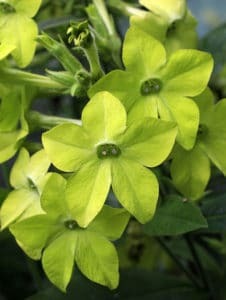 The nicotiana grow between 3 and 6 feet tall and bloom in mid to late summer. Their blooms are trumpet shaped. They attract hummingbirds with their fragrance. These are hardy deciduous shrubs which will flower in the spring and hold their blooms into the fall. The blooms grow in clusters and can be 6-12 inches. As they age, the blossoms turn white. 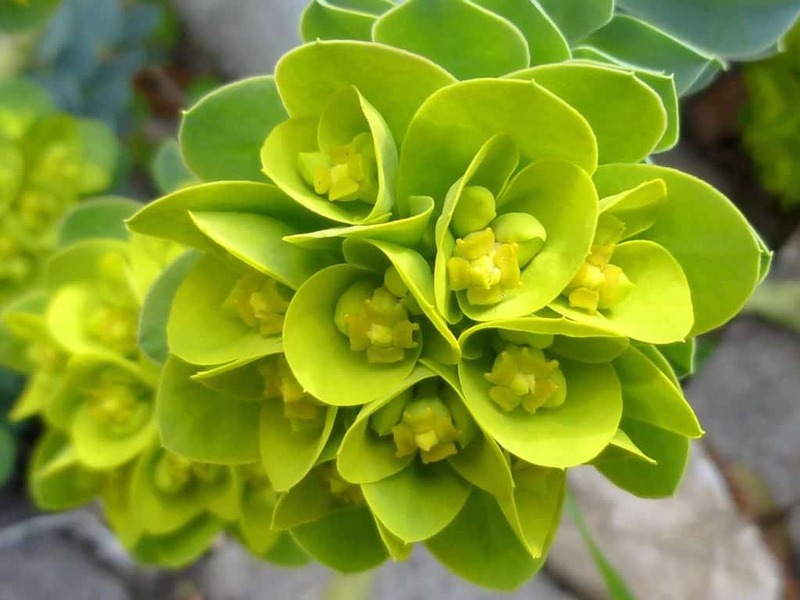 The Mediterranean spurge is invasive in some areas and you may want to cut it before it goes to seed to prevent sewing. The plant produces a sap which is an irritant to skin. They are tough and drought resistant. Lady’s Mantle is a clump forming herbaceous perennial. This is a low growing plant flourishes in rock gardens and can be invasive in some areas. 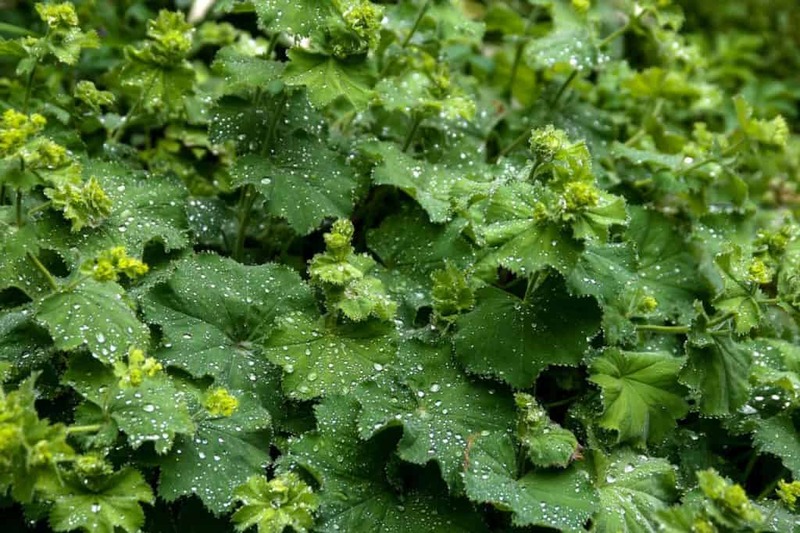 Lady’s Mantle is also used for medicinal and herbal purposes. Feeling green chrysanthemums have small apple green colored blooms. The blooms are bushy in appearance. While these flowers are fairly low maintenance, they are typically only grown commercially. Also known as India Mallow, Abutilon Sandwicence is a scentless shrub which is native to Hawaii. This plant is on the endangered list. They can grow to approximately 10 feet wide and 10 feet tall. 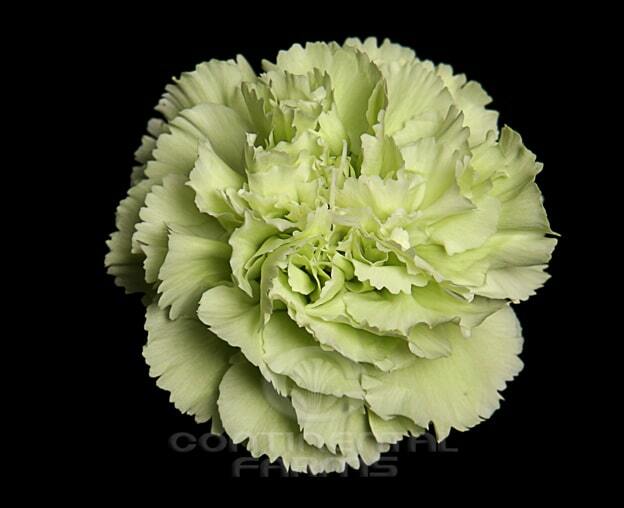 The Prado carnation is the only naturally occurring green carnation; all others are dyed. The Prado has mint colored petals. They are often used in arrangements and bouquets as well as in gardens as border flowers. While tulips are not wholly green, several varieties do have green coloring on them. Viridiflora is a white and green tulip. Formosa is a yellow tulip with a greenish tint, and Chinatown is light pink with green. 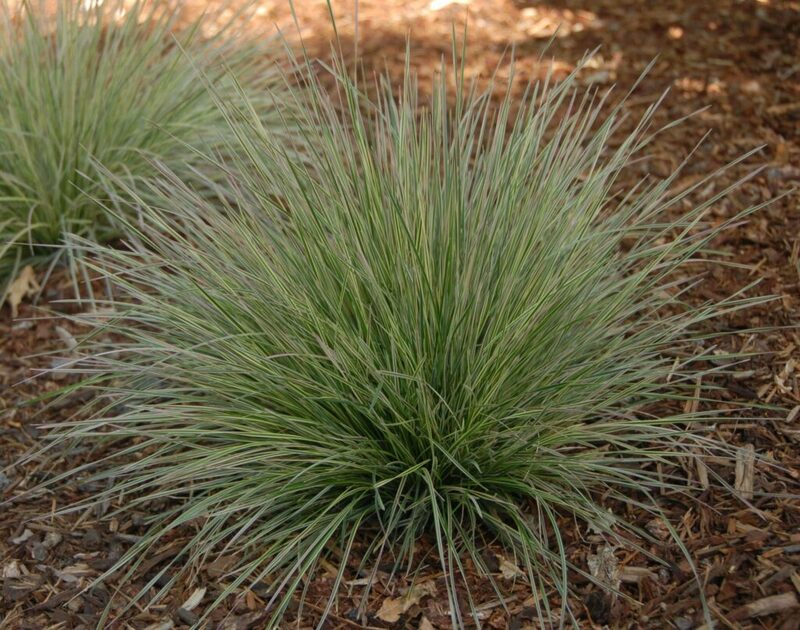 Tufted hair grass receives its name from the long thin hair like flowers that grow from this plant. They emerge green and turn to shade of gold. 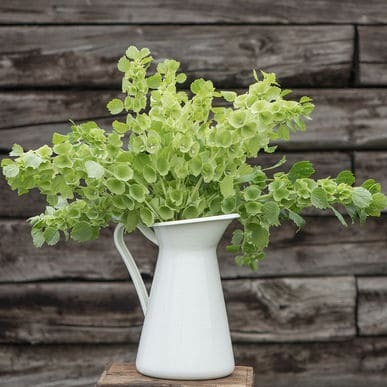 You can use this as a cut flower, however it can also be grown in containers. 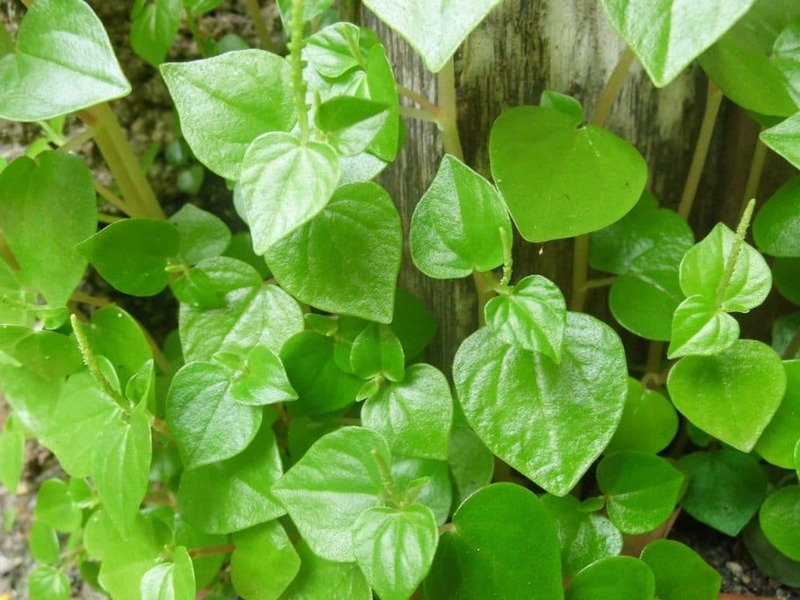 Sorrel is an interesting plant that some people eat as salad greens in the spring. 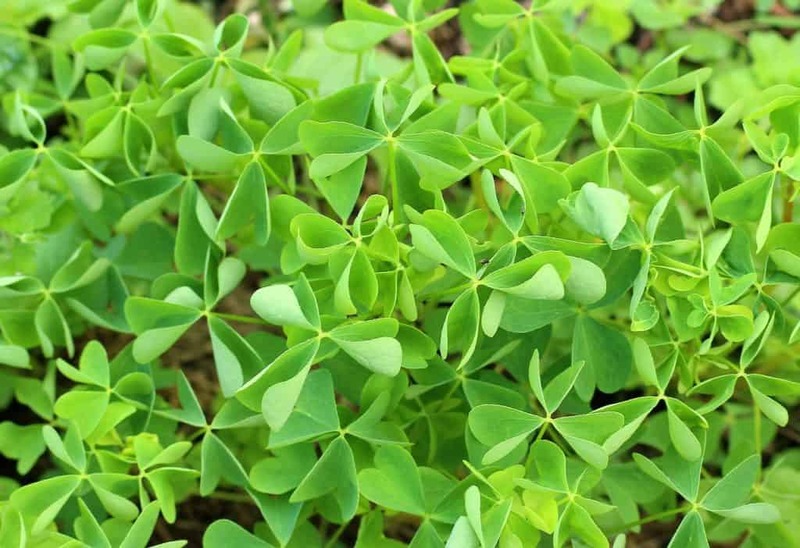 When planted in a garden it can serve as a ground cover. 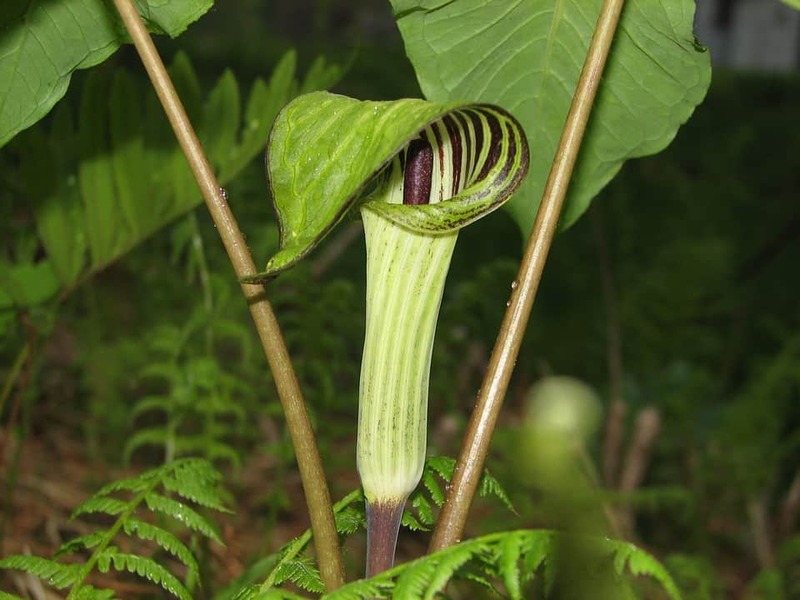 It sends up a flower stalk with green flowers that will mature to seeds. People think of peperomia as a houseplant, not a plant which flowers. The blooms do not look like typical blooms but instead are long thin stalks which grow up from the rest of the plant. These are often pinched off the plant by owners because they take away from the foliage. They thrive in bathrooms due to the high humidity as they hail from a tropical climate. 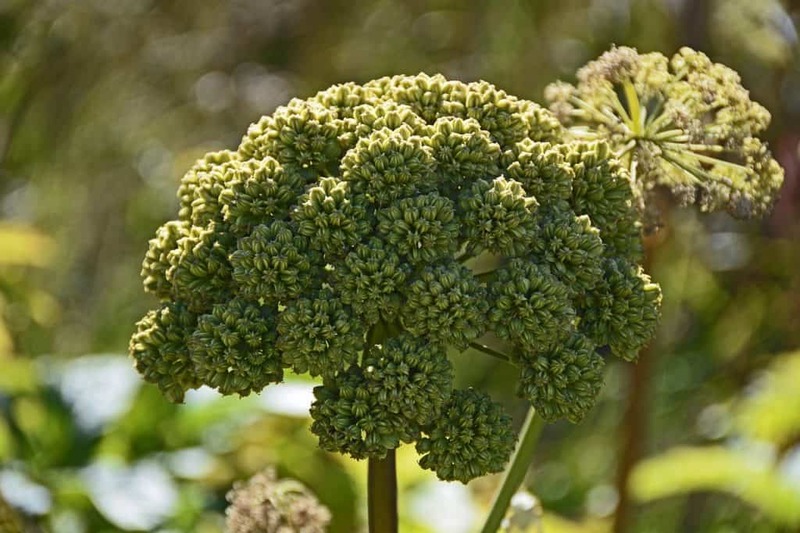 Angelica is a biennial herb but it is also a flowering plant. You can actually eat the stalks which have a flavor like celery. Angelica may be eaten raw or you can candy it. In addition, the root is often used in tea.